If your Fire TV stick used for TrilbyTV playback is showing a Register screen, here are the steps to get it back online and playing content. Before you start you will need an Amazon account – get one here. We would suggest using an email address that is appropriate for a work device to connect to. Your Amazon account MUST have a billing address and payment card allocated which you can do here. TrilbyTV Player is free, but the Amazon store requires a linked card and billing address in case you want to purchase apps or content in the future. To stay secure and stop future purchases you can remove the card from your Amazon account following the installation process. 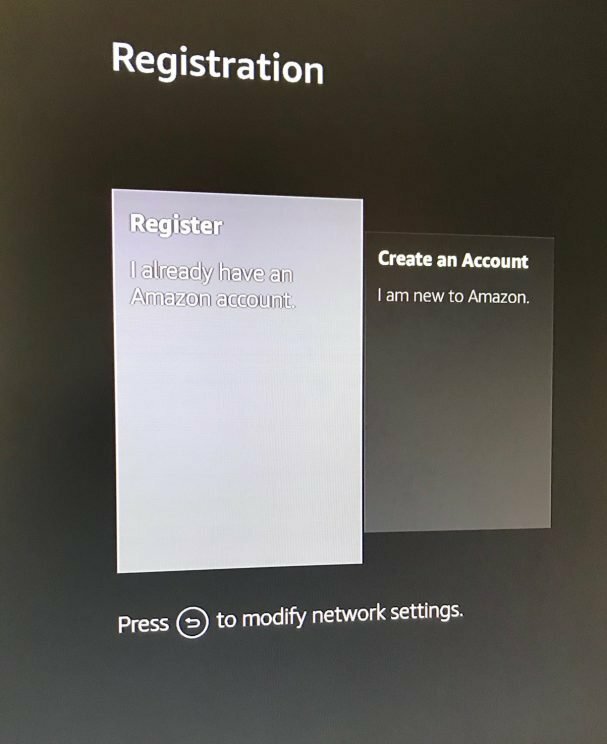 Using the Fire TV remote, select the Register button and enter the username and password you use for the Amazon account. After a few moments, you will be asked to confirm the account. Tap Yes. You may be asked about saving passwords, we suggest you choose No. You will now be at the Amazon TV home screen and need to install the TrilbyTV Player application. Alternatively, use the remote to scroll left to Search  Type in TrilbyTV and then scroll down and press OK on the word TrilbyTV. Press OK to select TrilbyTV and then OK again to start the download. Once downloaded you can Open the app and your content should start to play again. If you see a TrilbyTV logo and Player Code on the screen then you will need to re-add the player to your dashboard. Our guide for this is here, or you can contact us and we can assist.